England kicked off their road to the 2018 FIFA world cup schedule with a comfortable 2-1 victory over Nigeria in London on Saturday and they look solid in the friendly going to Russia. 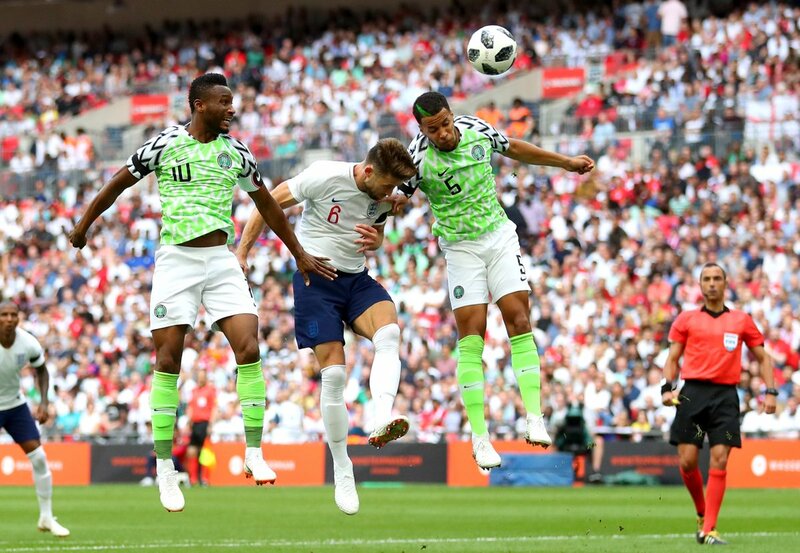 Alex Iwobi struck soon after the start of the second half, but England were able to see out the win despite lacking the verve they displayed in the first half. 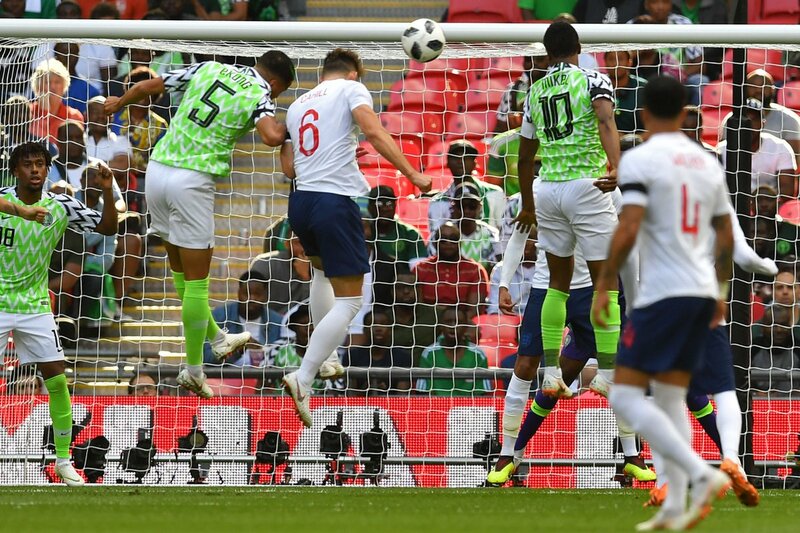 There were plenty of positives for Gareth Southgate to take out of his side’s performance against the not so Super Eagles. Two Nigerian players bumped into each other in the first half and do so again in the second half with Kenneth Omeruo coming from behind and clatters into the back of John Ogu’s head. Photos: See how Nigeria's Super Eagles' jersey is causing commotion online #ENGNGA.